​In Hong Kong's thriving metropolis, hundreds of skyscrapers compete for their place in the crowded skyline. But step only slightly beyond this concrete jungle, and a different scene awaits: rolling hillsides and mountains, shrublands and forests, where the only sound is the gentle lilt of birdsong. Despite only spanning 423 square miles (1,095 sq km), Hong Kong houses more types of bird, mammal, insect and plant than the whole of the British Isles. But this vibrancy is only a fraction of the wildlife that existed thousands of years ago, when lush green forests covered much of the land, and bears, elephants and rhinoceroses roamed freely. Over the last few hundred years, Hong Kong lost almost all its forests, and with it much of its animal life. But in the 1970s, the Hong Kong government began a reforestation program. Four decades later, conservationists and scientists are still hard at work recreating the lost forests – and with them, Hong Kong's lost wildlife. Chinese immigration first disturbed Hong Kong's halcyon landscape in the 11th and 12th Centuries, when settlers started to clear the forests. The population kept growing and, when Hong Kong became a centre for lime production, locals felled huge amounts of trees to fire the kilns. ​"Already, the forest was probably in not-so-good shape," says Gunter Fischer, head of the flora conservation department atKadoorie Farm & Botanic Gardenin Hong Kong. "Deforestation and fragmentation of habitats actually goes back many centuries." On the high ground, such as Hong Kong's highest peak Tai Mo Shan, farmers levelled patches of indigenous and pioneer tree species to make way for tea plantations. Then World War Two came. The occupying Japanese cleared large swathes of forests for cooking fuel, leaving much of Hong Kong little more than "barren rock." By the end of the war, small patchy forests covered less than 4% of the land. The loss of the trees had widespread consequences. Forested slopes prevent soil erosion and landslides, and the rich woodland tapestry provides habitats for animals. "But most of the megafauna disappeared alongside the forest, because once the big trees are gone, canopy-dwelling animals can't survive," Fischer says. What's more, the dense vegetation of a healthy forest soaks up water like a sponge, filters it and then releases it all year round. This ensures a reliable water supply. After the war, with the forests gone, Hong Kong faced a severe water shortage and had to resort to rationing. So over the next two decades, the government began to build reservoirs for potable water. "For these reservoirs to function properly, the government had to improve the catchment area," says Derrick Yuk Fo Lai of the Chinese University of Hong Kong. "This is one of the reasons why the government started planting trees around Hong Kong." The work began in earnest in 1976. The government designated about 41% of the land area of Hong Kong, which consists of more than 230 outlying islands and a section of the Chinese mainland, as country parks and restricted areas. About two-thirds of the forests in Hong Kong are inside these areas, under the statutory protection of the Agriculture, Fisheries, and Conservation Department (AFCD). 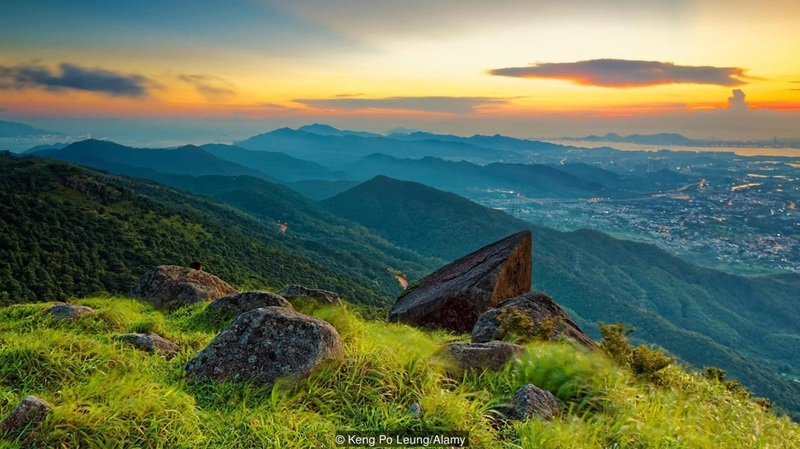 "As far as setting aside land for conservation and country parks, there's just nowhere in the world that's done it as well as Hong Kong," says Richard Corlett of the Chinese Academy of Sciences in Mengla. These protected areas are now home to a vast array of flora and fauna: some 3,300 species of vascular plants, 57 terrestrial mammals, 546 birds and hundreds of butterflies and dragonflies. 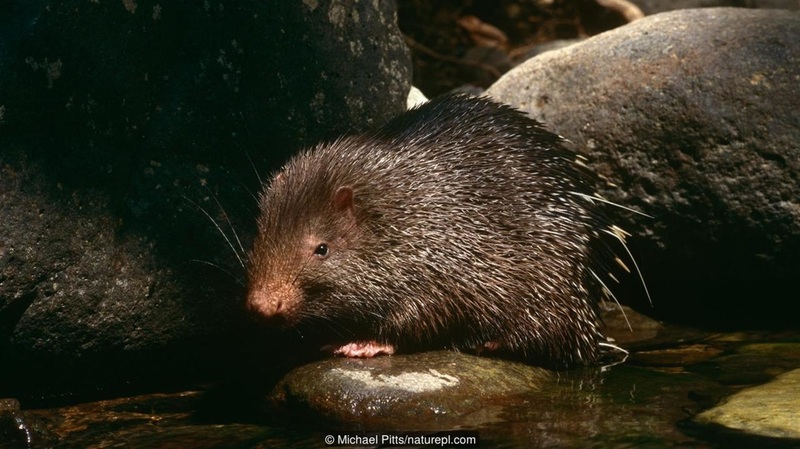 Malayan porcupines, leopard cats, and black-faced spoonbills also enjoy refuge in these parks. However, deforestation has still taken its toll. 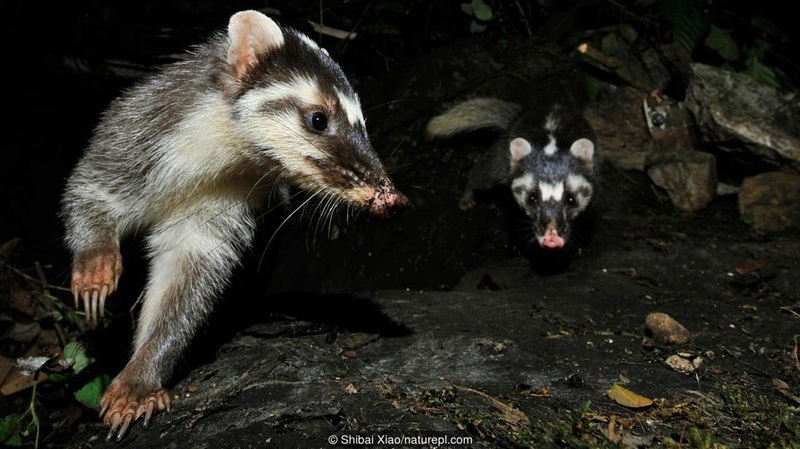 Only nine of the mammals that currently live in the forests appear to be survivors of Hong Kong's primeval mammal fauna: they include leopard cats, small Indian civets, Chinese ferret badgers and Chinese pangolins. Yet before records began, bears, elephants and rhinoceroses also lived in Hong Kong. All are now extinct in the region. To get a glimpse of Hong Kong's past richness, scientists need look no further than "feng shui forests". These are small forest plots, mostly less than 4 hectares each, that sit next to over 110 villages throughout China. Their name comes from the Chinese theory for determining the most favourable location of settlements in order to bring good fortune. ​"It's kind of a Chinese myth," says Lai. "The idea [is] that, if you keep the trees at the back of the village, it brings good fortune and health to the villagers." Early villagers chose to settle in wooded areas. Because of the traditional and spiritual value of these forests, the locals take great care to protect them, only harvesting wood for fuel in a sustainable way. "These were the only forests that could actually remain during the war times," says Lai. Oral tradition and scientific analysis of the flora suggest that these forests are several hundred years old. It is possible that some began as preserved fragments of the region's original forest cover. Inside the forests it is dark because towering trees, typicallyEndospermum and Schima, block the sunlight. No space is wasted: mosses and climbers attach themselves to the tree trunks, wild coffee and Asiatic Ardisia shrubs cluster underneath, and ferns and herbaceous plants carpet the ground. As well as being cultural icons of traditional Chinese villages, these woods are now ecological treasure-houses. They contrast sharply with the adjacent regions, where a meagre layer of grass and shrubs covers the topsoil. "They are like primary forests that have been well-developed for a long period of time," says Lai. "It gives us a sense of what the ideal stage of a forest would be." 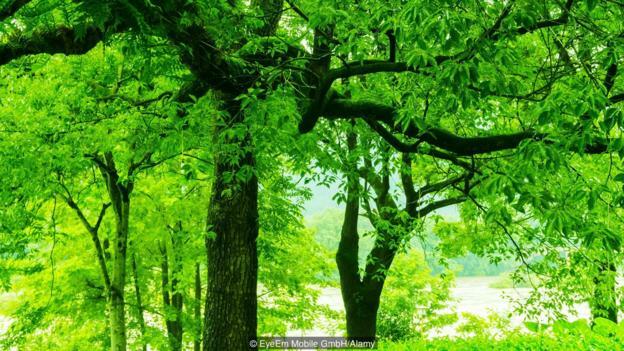 These feng shui forests are probably not perfect representations of the original Hong Kong forests, as villagers have cultivated specific species for their needs. Nevertheless, they serve as inspiration for conservationists who are looking to reforest the land. The conservationists need all the help they can get, because the first attempts at reforestation did not go entirely to plan. After World War Two, the first priority was simply to rehabilitate the barren areas. The aim was to prevent soil erosion and stop reservoirs silting up, so the water supply could be maintained. To quickly re-establish forest land cover, conservationists planted hardy and fast-growing species that had special features to cope with the poor soil quality. As tiny worms had all but wiped out the nativeMasson's pine, conservationists turned instead to exotic non-native species like Brisbane box, Taiwan Acacia and slash pine. These trees quickly re-established vegetation cover on barren hillsides, improving the landscape and preventing further soil erosion. However, many are now aging and withering, and the dense canopies they create hinder the natural propagation and growth of native trees. These monocultures also create poor diversity in the understory and produce dry fruit. Both factors impact the bird and rodent populations. "We've seen that birds don't like to fly into Brisbane box plantations," Lai says. Consequently, scientists have employed various tactics to increase the diversity of these "green deserts". In 1997, researchers at Kadoorie Farm established a native tree nursery that is now home to 400 native species. It produces 25,000 seedlings every year, which can be used for forest restoration. ​"The trees are rare, so once you plant them out and nurture them, it's kind of like bringing back species to the wild," Fischer says. The hope is that these little pockets of diversity will act as seed sources for the surrounding areas. 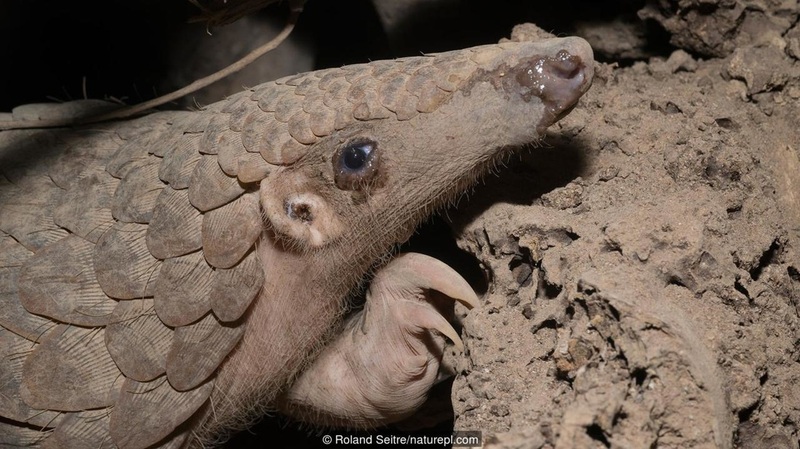 The Kadoorie Farm scientists also investigate how these species perform, so they can advise tree planting groups about which species would be suitable for a given plot. "Which species grow along a stream? Which like a slope? Which like a ridge top?" Fischer says. "That knowledge can significantly improve the success rate of a restoration project." But even with this knowledge, reforestation can still run into problems. When the first trees are planted, the grasslands are often dry, exposed and open to wind and strong sunshine. But once the canopy closes, conditions can be moist and humid. "A species which liked the dry conditions in the first place might not like it any more once you get the forest canopy closed," Fischer says. To avoid this, the researchers are finding ways to get moisture-loving trees to grow on dry slopes, for instance by using props like tree guards, protective shelters and shading nets. In this way, they have been able to establish a forest with more than 100 different tree species. 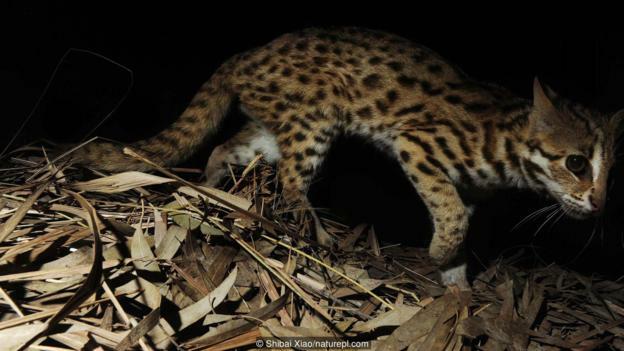 "This is very unique in Hong Kong, because the natural succession only favours a few species, not the vast majority," Fischer says. At Kadoorie Farm, researchers have also set up a 20-hectare forest plot, which contains the most extensive old-growth secondary broadleaf forest in Hong Kong. They use it to figure out the dynamics of the forest systems. By identifying and tagging the trees, and checking variables like species composition and growth rates, the scientists get to see how different species behave in the ecosystem. "This allows us now to investigate natural forest succession and we would like to use that information, to actually apply it in the restoration work," Fischer says. "We are learning from nature." In 2009, to speed up the transformation of exotic pioneer plantations into more diverse woodlands, the AFCD launched a project to progressively thin out exotic pioneer trees to give way to the in-planting of native trees. Then in 2015, the AFCD planted 400,000 tree seedlings in Hong Kong's country parks. 80% of them were native species. Thanks to tricks like these, the scientists are starting to see much greater species diversity in the secondary forests in Hong Kong. Overall forest coverage has also been steadily increasing since the post-war period. 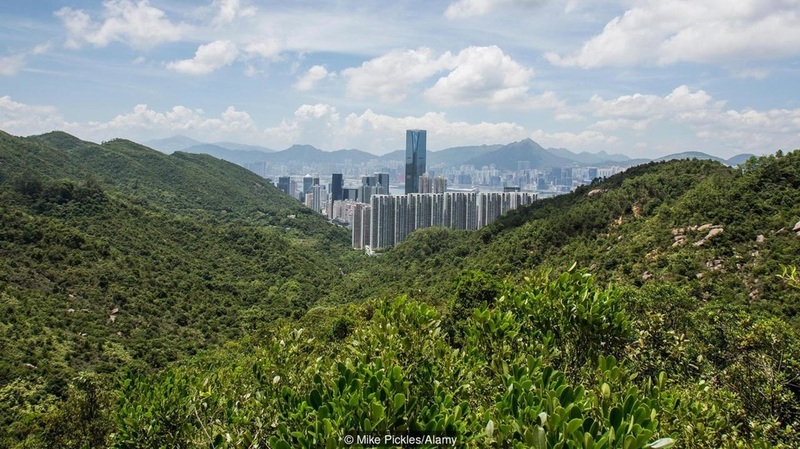 By 2013, the forests covered about 26,400 hectares, about 23.8% of Hong Kong's total land area – and about 20% more than they did just after World War Two. The next step is to make the forests self-sustaining. But there are barriers to that. "If nature can't overcome these barriers naturally, it needs human interference," Fischer says. Perhaps the most essential ingredients in a fully sustainable forest are "seed dispersal agents": animals such as birds that carry the trees' seeds around. 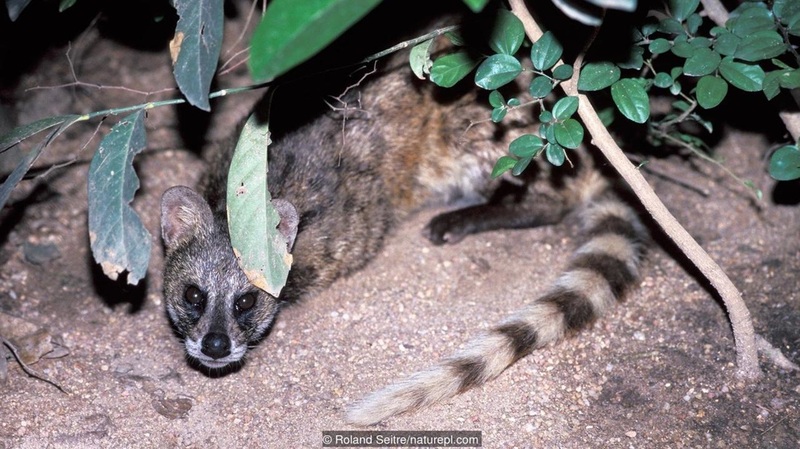 Many of these critters are long gone from Hong Kong. "To make the forest work, eventually one has to reintroduce certain species of animals," Fischer says. At the moment, the forests have not recovered enough for this problem to be tackled. Seed dispersal agents are normally things like birds and rodents: small creatures that cannot survive in an open, degraded landscape. But as the forests expand, it will be possible to bring them back. An even more distant goal is to reintroduce some of the other creatures that have been lost from Hong Kong, such as gibbons and forest pheasants. ​"I kind of dream of an elephant-proof fence across a narrow path of the Sai Kung Peninsula and then reintroducing elephants in Sai Kung," says Corlett. "But they swim well, so I think they'd get around the fence. There certainly would have been elephants in the past, but it's probably not practical to have elephants in Hong Kong again." Corlett says the key to successful reforestation is not to try to recreate the past, but rather to keep moving forwards. "Conservation is mostly about nostalgia, putting things back the way that they were," Corlett says. "In Hong Kong that is simply not possible." But that does not mean Hong Kong, and places like it, cannot have rich and beautiful ecosystems. "Hong Kong is just a wonderful model system of what can be done," says Corlett.